Ah, what? A Vegan? Lacto, Ovo? What are those things? Being a vegetarian is almost an unheard-of case in the Philippine culture. Although some Filipinos do not eat meats (such as pork or beef) they eat sea foods, chicken and other sources of protein than real meats. Of course, if you insist, this has been changing recently. Not eating meat or having a diet with no meat at all is a new concept and practice that is difficult for locals (to imagine) who live in an environment abundant with livestock and sea foods. Filipinos, or especially Cebuanos in this matter, almost always have foods on their tables containing meat, fish, chicken, eggs, shell fish, shrimps and other food products of carbohydrates and gluten. Fatty or greasy menu is one of the main features in Filipino foods, which is by the way not totally Filipino but influenced by Spanish and Chinese food and diet culture in particular. Anyway, finding Cebu vegetarian restaurants is not anymore a hard challenge. In this page, we will outline for you some of these places where you can enjoy a vegetarian or vegan menus. This place is only available on weekends only at Banilad Town Centre. The operator (Firas, a Turkish expatriate) opens a weekend food booth at this place. His mainstay is a variety of vegan burgers and he sells them with starting price at PHP100 each. Other food and drinks include: tofu steak with arugula & grilled eggplants, raw cheesecakes, shakes & smoothies, dinner replacement shakes, salads and soups. As of this writing, Firas is searching for the right place to establish his first Cebu vegetarian restaurant in the city. Please, let us know if he found one already. Persian Plate serves primarily Indian and Persian style dishes. Originally, they serve meats and vegetables as part of their menu. 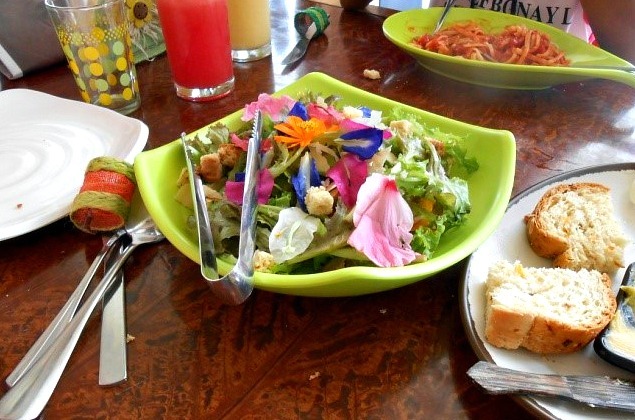 However, they also offer vegan and vegetarian menu with lots of discounts (up to 50%). In sum, Persian Plates serves vegan-friendly, non-vegetarian, Middle Eastern, Persian, international, Indian, and lacto vegetarian dishes. 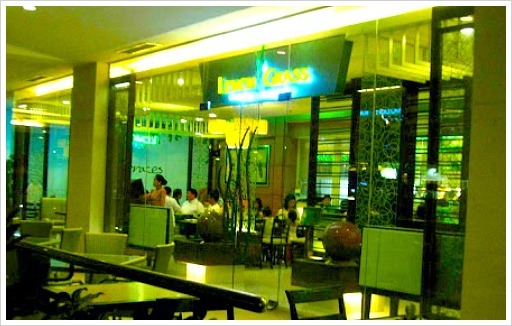 Lemongrass serves meat dishes and an array of vegetarian dishes. Cebu vegetarian restaurants with a wide variety of vegetarian dishes is hard to find in this province some years back. Some of these dishes include: spicy curry with veggies, fried tofu in lemongrass sauce, fried veggies in lemongrass sauce, pad thai, fried rice with pineapple, etc. You can enjoy their outdoor tables with dishes ranging from Php125-150 per serve. Basically, they serve ovo vegetarian (or “eggetarian”), lacto vegetarian, Vietnamese, Chinese, and non-vegetarian dishes. Grand Majestic Restaurant originally serves meats and vegetables in their dishes. now, they offer various vegetarian menu with lots of options of ‘meat-like’ dishes (not real meat but taste like meat, which can come from tofu and other vegetarian products) and real fresh vegetables. Other vegetarian offers include: soups, veggie rice, egg rolls, sweets and ‘beef-like’ dish, which are available at their daily lunch buffet for 410pesos. 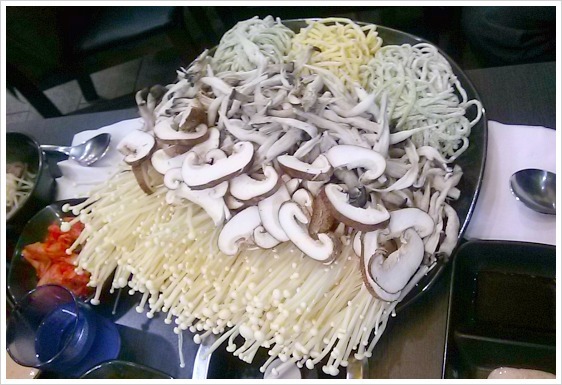 Basically, the menus available are ovo, lacto, Chinese, and non-vegetarian. Take-out and credit card services are available. At Gaisano Main Hotshot, you can find both a vegan section and a non-vegetarian section. Since this is not really one of those Cebu vegetarian restaurants, they include very affordable place dishes such as Chinese, fast foods, Filipino, among others. Only cash will be accepted. Originally an Indian restaurant that serves a variety of Indian dishes. This vegetarian restaurant offers dal, lassi, pakora, samosa, biryani rice and tofu, faux meat made from gluten. Most of the students of Southwestern University (nearby) enjoy their affordable dishes. Basically, Shiv Dal Roti serves lacto, vegetarian and Indian dishes. Miller Hospital Cafeteria serves vegan-friendly, ovo, lacto, Filipino and Western dishes. I guess this hospital cafeteria tries to offer more healthy food other than the usual Filipino diet food. They serve tofus, gluten dishes, soymilk, whole wheat bread, and more. The place is inexpensive but only accepts cash. La Veggie Deli Café is a vegetarian-friendly place aside from other menu options for non-vegetarians. Generally, they serve lacto, raw, macrobiotic, western, Filipino, Asian Fusion, burger, Chinese, Indian, Pakistani, Mexican. In particular, they offer vegetarian burgers, shawarma, budget meals, etc. Take-out service is also available. Healthy U does not only offer delicious Filipino, Cebuano and international dishes but also vegetarian dishes. You can certainly eat all sorts of fresh veggies, tofus, soy milk, vegan dishes with lemongrass, among others. You can enjoy their dishes at their outdoor table. At this affordable place, you can only pay in cash. This is surely a Filipino style of vegetarianism. Yes, this is a vegan and vegetarian place that serves fresh veggies in Filipino sauce. If you want to try a real Filipino dish, you must try fresh lumpia. You can also order as take-out service. Originally a bar, in case you don’t know Irish pubs! Yes, this Irish Bar and Restaurant is trying to include some green diets and vegetarian dishes on their tables. They offer a Veggie Burger, basically a cheeseburger made of soy instead of ground beef. Another one is called Boxty, a potato pancake, which substitutes the ‘unhealthy’ French fries. Calcanon is an Irish staple dish made of mashed potatoes and other veggies. Other vegetarian dishes: cheddar cheese munchers, potato skins with no bacon, fried mac and cheese, among others. HEALTH FOOD STORES, SHOPS, BAKERIES, ETC. This farmer’s market basically sells fresh organic fruits and vegetables from San Gimignano Wellness Farm. This is where you can buy fresh bananas, cucumber, sayote, eggplant, lettuces, corns, pumpkins, beans, string beans, among vegetable products. Not only that but also you can get your culinary herbs and even medicinal plants. Healthy Options is a chain store that sells imported North American health food products. They have branches in various areas in the Philippines. Their website mentions that they sell a wide variety of natural and healthy products with certified organic ingredients, such as cereals, snacks, baby food, pasta, and more. In addition, Healthy Options also offer supplement products, personal care products, and health books. If you can yourself alone and feeling being cast out because you a vegan or vegetarian, now you can find friends or people that think like you do. You can join at Vegetarian Club in Cebu that is organized by people at Cebu Lodge’s Theosophical Society. Aside from being a vegetarian group, you can also join in their Yoga Club or a poetry group. You can find their place at the 2nd Floor of Zayka Restaurant located along Juana Osmena Street, Cebu City, Philippines. Now, I guess you won’t be feeling bad anymore since you can easily find places to be as a vegetarian, or people who think and believe like you do. Since the information above is not featured in details, it is up to you to inquire further to meet your vegetarian needs. Aside from Cebu vegetarian restaurants, you can also find pages at this site non-vegetarian foods and drinks. Scan by clicking the link below. Vegan: Vegan vegetarians are those who do not eat meat only but also any dairy and egg products. 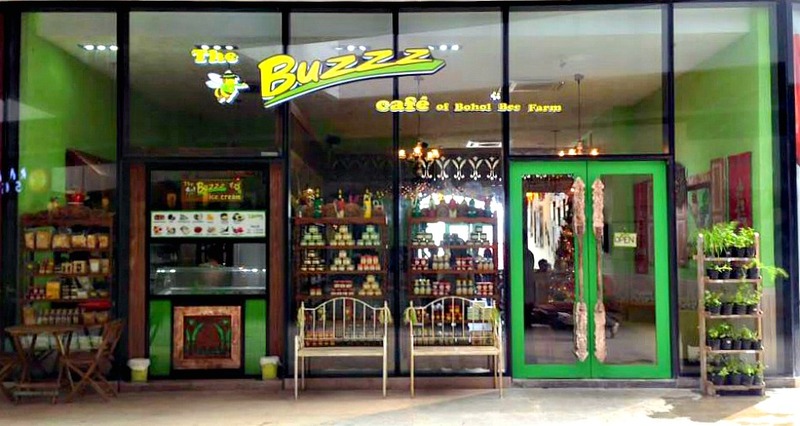 Visit this site again more often and enjoy your food at any of Cebu vegetarian restaurants. If you are searching more restaurants other than vegetarian, please search this website using the search box right above this page!